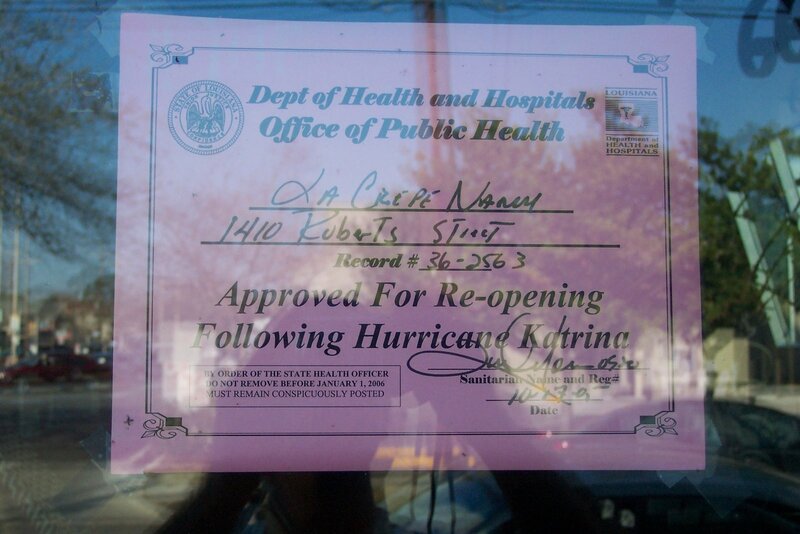 Before re-opening after Katrina, all food service-type places had to be given certification by the Department of Health & Hospitals. This one was given to Le Crepe Nanou, which is my favorite restaurant anywhere. 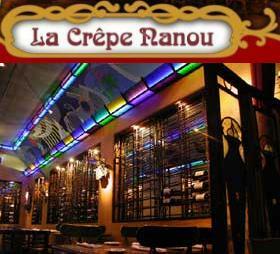 It’s just a modest neighborhood crepe joint, and it’s the first place we go every time we go back. It’s also the only restaurant we go to every time we go back. As you can imagine, much of Katrina recovery was a bureaucratic, red tape nightmare. One restaurant that did not fare as well is the beloved Gabrielle in Mid-city. If you’re interested in such a story, you may read it here. To hear their side of it, they were run out of town on a rail.